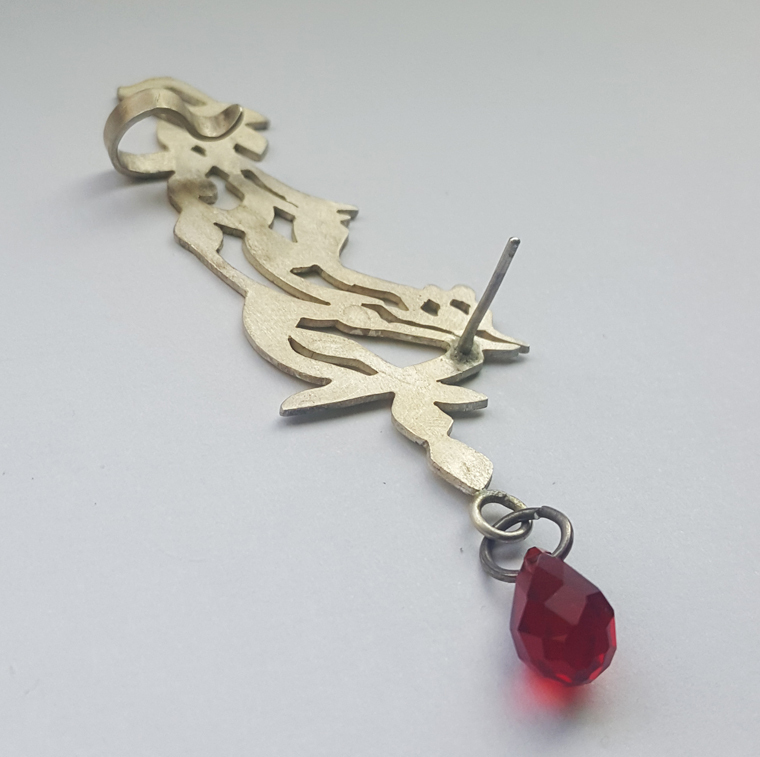 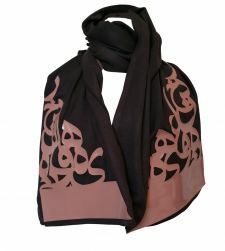 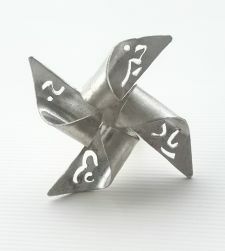 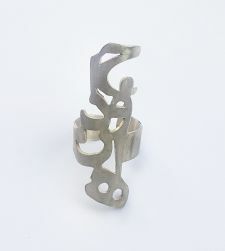 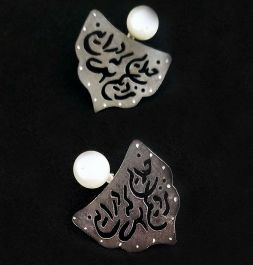 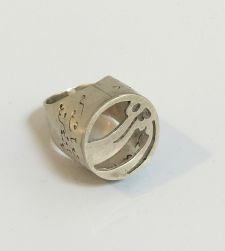 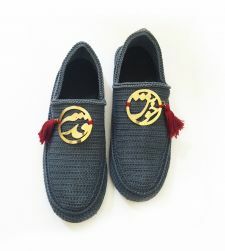 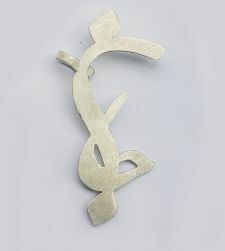 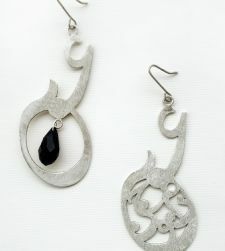 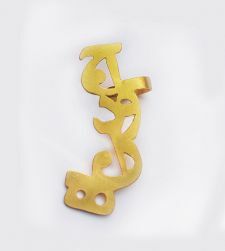 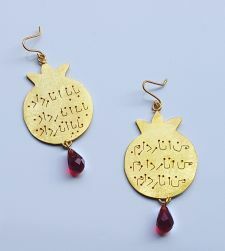 Persian poem calligraphy all over earring. 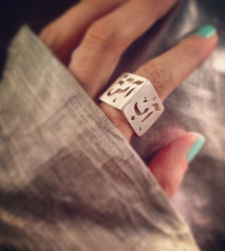 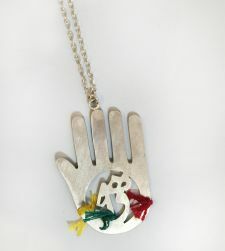 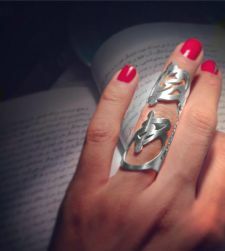 Handmade with silver. 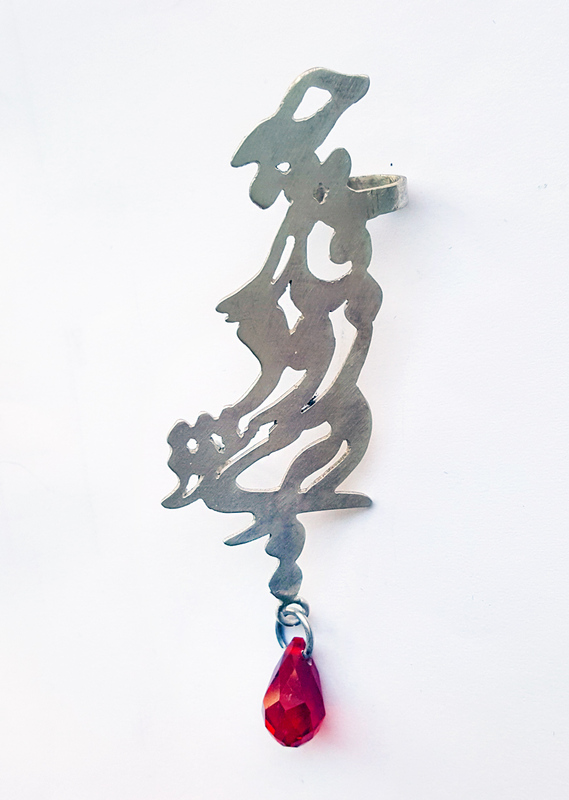 The piece is 3 inches tall.